We would like to acknowledge and give thanks to our Lord and Savior Jesus Christ for leading us on this path we are on. It is only through HIS grace and mercy that we have obtained our success. We have met many obstacles along the way, but as scripture says in Proverbs 2:6-8 "For the Lord gives wisdom and from his mouth comes knowledge and understanding. He is victory in store for the upright, He is a shield to those whose walk is blameless, for he guards the course of the just and protects the way of his faithful ones." We hope that through these web pages, some of you are drawn closer to our Lord and will want to develop a more intimate relationship with him. I especially want to thank my husband, Victor. Without your encouragement and hard work none of this would be possible, especially when I leave for the dog shows with the children for weeks at a time to show dogs and you stay behind to do ALL the work by yourself. That is truly priceless. You are my partner and friend, confidant, helper, my shoulder to cry on, you are my everything. I love you beyond description. Whenever I wonder how much God loves me, I never have to look further than you amd our children. Many, many thanks to our children, Aja, Rodrick and Saul. They not only get up EVERY morning with us to feed, poop scoop and play with the puppies and dogs, but they also help in washing, training and showing. Aja has finished several dogs into completing their American and International Championships as well as qualifying for a very prestigious show, Eukanuba. Victor and I are proud and blessed beyond anything we could of ever imagined with our children. They are believers of our Lord and witness about him by their actions and words. A very heartfelt thank you goes to Aja Montgomery, Rodrick Spurlock. Saul Brickus, and Catrina Head. Our clients are and have been blessed to have had them train their new family members. Thank you, Thank you. Emily Planutis is a great new addition, for socializing our puppies annd teaching them how to behave with young children. Emily never lets them get away with anything, in a loving and positive way. Puppies learn at a very early age that they are important in our lives and childrens lives. They are taught that they cannot treat children and adults like litter mates. Thank you Emily for all your hard work. 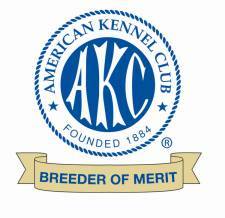 Pam Uribarri and Aja Montgomery have shown and finished our dogs to completing their AKC and International Championships. Thank you for your dedication and hard work! A very big thank you also goes to my church family and friends at High Country Calvary Chapel. I know that when we leave for our long trips, they are there praying for safe travels. Thank you, we need it. We would like to acknowledge our heartfelt thanks to West Riverside Vet Hospital for their excellent care, support and diagnosis for our animals. Dr.Michael and Stephen Butchko have always provided keen insight and direction into maintaining genetically healthy and sound dogs. We also would like to thank Dr. Cohen and Debra Cohen. Their knowledge about our breeds has been extremely useful to us and our clients. Also they are always there for our clients to get 2nd opinions on many differant subjects. We appreciate you sound advice.